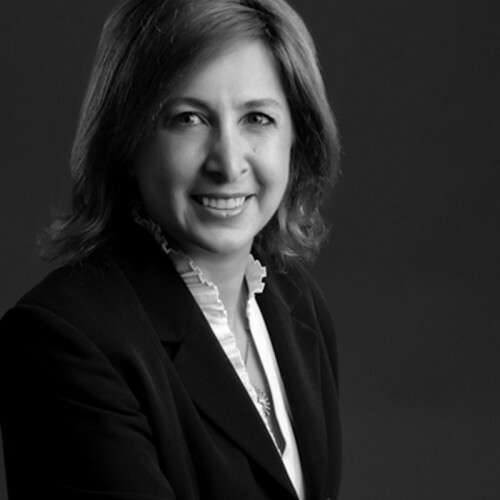 Hala N. Ballouz, Chair, the President and Owner of Electric Power Engineers, with multiple offices in the U.S. and internationally, is a lead consultant in the Electric Power Industry since 1991. She has over 20 years of experience in transmission system analysis, substation and distribution system design, resource and grid feasibility studies, renewable energy, generation development, and distribution system planning and operations. Ms. Ballouz is also founding partner and Director of the Institute of Geotechnics and Materials, International IGM, s.a.r.l. 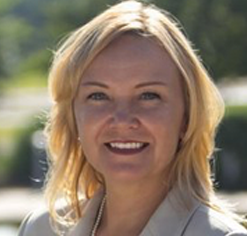 She also currently serves as President of the Texas Renewables Energy Association (TREIA). She has extensive experience in renewable energy integration, power market analysis, and design of wind, solar, biomass, as well as energy storage, with numerous significant publications in the power industry. Ms. Ballouz has also served as expert witness on resource adequacy and transmission grid reliability in California and provides same expertise in Texas. Sarah Cove, Co-Chair, is a Partner and Senior Consultant at Alder Koten, a consulting firm that shapes organizations through a combination of executive recruitment, cultural and leadership assessments, strategic and cultural alignment, and other advisory services. Sarah brings over 10 years of experience in Commitment-based Management and Ontological Design to support business-driven cultural shifts in organizations. Sarah has implemented large-scale, capital-intensive change programs in a variety of industries including utilities, IT, and the public sector; and has worked in multicultural environments in the United States, Latin America, Europe, Africa, and Asia. She has also supervised various political and environmental campaigns in California. Sarah holds a B.A. from Harvard University in Environmental Science and Public Policy and lives in Houston, Texas. Chris Foster is currently the Manager of Resource Planning and Integration for the City of Georgetown, and has served in the capacity since 2008, with a primary role of managing the City’s Municipally Owned Utility power supply. Previous work includes managing payroll for the Health and human Services Commission, fixing computer equipment for CVS and Walgreens, and running his own tech repair company. Chris is a graduate of Georgetown High School, holding a bachelor’s in Economics/Finance from the University of Mary-Hardin Baylor, and a Master’s in Public Administration from Texas State. Chris is also a Certified Government Finance Officer through the Government Finance Officers Association. Chris is best known for orchestrating the successful transition of Georgetown’s power supply from a single provider that was over 90% fossil fuel based, to being 100% wind and solar powered by 2017. Outside of energy Chris acts as the City’s economist and lead contract negotiator including water rights, garbage contracts, technological systems, development agreements, etc. Chris is married with three kids. His dissertation titled “Does Proximity Matter? Measuring the effect green space has on residential water consumption”, and can be found in the Texas State MPA ARP archives. Melissa Miller, TREIA Board Chair Project Development Manager at EDF Renewable Energy, has experience developing Texas renewables since 2002. At EDF, Melissa’s primary focus is in the development of large scale wind and solar in Texas. 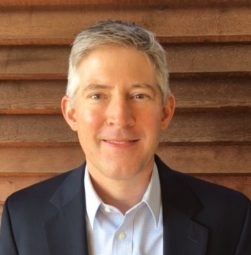 Andrew Johnston With a background spanning the energy, technology, policy, and urban planning sectors, Johnston works with utilities, cities, manufacturers, and third-party groups in aligning strategy, technology, policy and customer-facing program execution. Johnston has worked in areas of technology innovation, strategic planning, market analysis, and competitive intelligence. Prior to Navigant, Johnston was President of ETS, for Zpryme. He has also served in a variety of roles at organizations centered around emerging technology, including Austin Energy and Pecan Street Inc. Johnston is a former chief of staff to economic and social theorist Jeremy Rifkin, where he supported the energy & technology agenda with clients including European Commission, European heads of state, and major global industrial and energy stakeholders. He lives in Austin with his Wife and Baby Girl, and is the 2014 recipient of the Austin Under 40 Award for Energy & Technology. Raina Hornaday is currently a partner and the General Manager of Caprock Renewables, a renewable energy start-up focused on developing mid-market solar projects for C&I customers in Texas. Raina has worked closely with the Texas Renewable Energy Industries Alliance (TREIA) over the past year through a rebrand and helped organize TREIA’s annual conference in November 2015. For the past 10 years, Raina was the co-owner of Cielo Wind Power and has been involved in every aspect of wind energy development. Dr. Annette Sobel is a former Major General in the Arizona Air National Guard, and an Associate Professor in the Department of Medical Education, and Graduate School of Biomedical Sciences at Texas Tech University Health Sciences Center in Lubbock. Currently, she is the Director of Global Laboratory for Energy Asset Management and Manufacturing (GLEAMM), at Texas Tech University. She is also an Adjunct Professor of Electrical and Computer Engineering, and the Executive for Critical Infrastructure Protection and Health Security Initiatives, at TTU. She is residency trained in Family and Community Medicine and Aerospace Medicine and is a Hyperbaric Medicine Specialist, certified by the U.S. Navy. As a physician-human factors engineer, she worked at Sandia National Laboratories as a Distinguished Member of the Technical Staff and was a guest scientist at Los Alamos National Laboratory. She was a senior advisor to the Defense Advanced Research Projects Agency (DARPA), the Defense Threat Reduction Agency (DTRA). Dr. Sobel also served as Senior Advisor for Biosecurity Engagement in the Office of the Assistant Secretary of Defense/Nuclear, Chemical, and Biological Defense Program. Presently, she is Chair of the Permanent Monitoring Panel for mitigation of acts of terrorism of the World Federation of Scientists, and is a Commissioner on the Governor Greg Abbott's Texas Military Preparedness Commission. Dean Tuel is currently responsible for providing energy storage solutions throughout the Americas and the Caribbean regions. I have over 25 years of experience in developing renewable projects a background in the power and gas industries within Europe and North America. My primary focus is on commercial business transactions for companies in transitioning energy markets. While at Younicos I lead a commercial team that has closed over 70 MWs of energy storage projects since 2014. Previously, I was Vice President of Business Development at Xtreme Power I held a similar role and was the lead negotiator of the 36-Megawatt Storage System for Duke Energy. At the time this was the largest storage transaction in the world. Prior to joining Xtreme Power, I was the Vice President and a senior advisory board member with E.ON Climate and Renewables, a wind and solar developer. In this role I served as the lead officer overseeing the negotiation of over $2 billion of transactions for 2,000 MWs of wind generation throughout North America. My prior background I held senior roles at Westar Energy, Cargill Power Markets, Aquila Merchant Services and Enron Europe Ltd. Within these companies I was responsible for leading the execution of structured transactions and trading organizations within the power and gas industries in Western Europe and North America. Nisha Desai is the managing director of Aurora Clean Energy Partners, a provider of growth strategy, business development, and project development services in renewable energy and clean technology. Previously, Nisha served as the Vice President, Distributed Generation for NRG Energy. In that position, she led a team of project development and engineering professionals to identify and create resilient and sustainable on-site energy solutions for commercial, industrial and institutional clients. 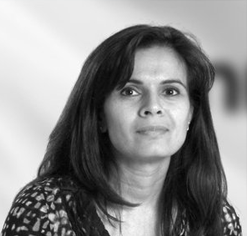 Prior to NRG, Nisha had a number of leadership roles in the energy and water industries, with a significant focus on business model and technology innovation. Her development expertise included solar power, water infrastructure, energy storage, CHP, and fuel cell projects. Nisha has also served several years as a management consultant with Booz & Company’s energy practice, and she has held finance and business development roles with Enron and Mobil. She holds an economics degree from Yale and and MBA from Harvard Business School, where she was an American Association of University Women Selected Professions Fellow. Cyrus Reed has served as the Conservation Director for the Lone Star Chapter of the Sierra Club for almost 10 years. As such, he has he served as the Chapter’s chief lobbyist on oil and gas, energy and air quality issues before the legislature, state agencies like the Texas Commission on Environmental Quality, State Energy Conservation Office, Railroad Commission of Texas, Public Utility Commission and ERCOT, and many cities throughout Texas. He serves on the Reliability Operations Subcommittee at ERCOT, and on the City of Austin’s Resource Management Commission. Cyrus has a Ph.D. in Geography from the University of Texas at Austin, with a focus on water policy and the dispute over the Rio Grande water with Mexico. Cyrus has also worked as a journalist, research director at the Texas Center for Policy Studies and has spent considerable time in Mexico, Costa Rica and Nicaragua. Married with three kids, ages 20 to 10. 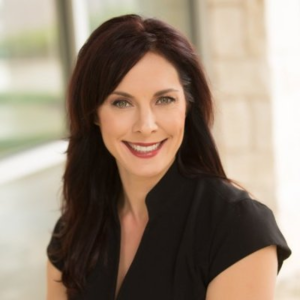 Annemarie Diaz plays a leadership role in the development and implementation of Austin Energy’s Strategic Plan, including risk assessment, engagement and development of cross-functional teams, and fostering alignment in the organization. For the past six years her work has focused on market and industry analysis, supporting executive teams with strategic planning, and leadership of cross-functional initiatives. She also has experience in utility DSM program delivery, energy policy, and regulatory compliance for industrial clients. Annemarie has a BS in Chemical Engineering and an MS in Environmental Health, Policy. She is a licensed Professional Engineer and received a miniMBA certificate from the University of St. Thomas Executive Education program. Stacey Abel With over twenty-five years of experience in public policy, private, and nonprofit arenas, Stacey Abel brings her long history and passion for renewable energy to TREIA. She began working on energy issues as a Legislative Director in The Texas Senate, which led to subsequent roles as Sunset Policy Director for the Office of Public Utility Counsel, and later, Energy Policy Liaison for the Texas Environmental Defense Fund working to bring Integrated Resource Planning (IRP) to the State. Abel also served as co-chair of the Texas Fund for Energy and Environmental Education (TFE-3), a statewide nonprofit supported by the The Energy Foundation and other funders to reduce climate change and increase energy independence through the diversification of Texas’ energy portfolio. After serving as Executive Director of Austin’s Community Investment Corporation, she began consulting with many public and private enterprises on policy and message development. Scott Macmurdo is a Sustainability Specialist for NRG Energy, where he advises companies on meeting sustainability goals through smart energy management practices. In this role, Macmurdo helps corporate customers navigate the landscape of renewable energy, demand response, and energy efficiency opportunities that are critical for reducing carbon and water footprints. Macmurdo previously served as the associate director of the Corporate Eco Forum, a membership organization for Fortune 500 corporate sustainability executives. Prior to that, he organized discussions on global economic policy at the Council on Foreign Relations in Washington, DC. Macmurdo holds a BA in international studies and French from Rhodes College and an MA in sustainable energy and environmental policy from Columbia University’s School of International and Public Affairs. Michael Myers is a nationally known speaker and has made major contributions in the development of green building practices and energy efficiency programs in Texas and throughout the nation. Currently, he is the Vice President of CloudForest Software, a start-up focused on building performance analysis and serves as a Sustainability Consultant for Allegheny Science & Technology to provide support to the Department of Energy’s Federal Energy Management Program. As the Energy Manager for the City of Austin, Mr. Myers managed the electric and gas demand-side management programs for all customer sectors. He led the team that created the first green building program in the nation, the City of Austin's acclaimed Green Building Program which received international honors at the U.N Earth Summit in Rio de Janeiro. At the U.S. Department of Energy (DOE), he was the Residential Technologies Team Lead and the Program Manager for the Existing Buildings Energy Efficiency Research and Affordable Housing Programs. At DOE, he collaborated with Habitat for Humanity and other organizations to integrate research findings into current building practices. At Lockheed Martin, he was the Senior Sustainability Manager where he led the development of a corporate-wide green building policy and led teams to assist local governments reduce their energy consumption. Mr. Myers has served as a Governor Appointee on the TX Weatherization Policy Advisory Council, served as the Board Chair for Central TX-Balcones USGBC Chapter and is a member of TXSES. Eric Padilla In his role at Vistra Energy (formerly Energy Future Holdings), Mr. Padilla is responsible for all aspects of the company’s state and federal policy efforts. He has participated in five Texas Legislative Sessions, where he has helped develop the company’s position on legislation, including support for: rooftop solar, wind power development, and energy efficiency, among others. Mr. Padilla also supported Energy Future Holding’s Sustainable Energy Advisory Board. Mr. Padilla holds a B.A. in European History from DePauw University and is a graduate of St. Mark’s School of Texas in Dallas. He lives in Arlington with his fiancée and daughter. Dwain Rogers My own career began as an attorney in the 1990s, primarily working in the areas of intellectual property and early stage tech finance. I moved into the Government sector in 2003, working at the Texas General Land Office for eleven years as an attorney, as Special Counsel to the Land Commissioner and finally as Deputy Commissioner for Renewable Energy. In that post, I was tasked with leasing state owned lands for utility scale renewable energy projects and the work sparked a fascination with renewables, clean tech and energy markets that has become my passion. After the Land Office, in 2012 I accepted a position as Research Director at the Texas Sustainable Energy Research Institute at the University of Texas at San Antonio. There I focused on cutting edge research involving distributed energy technologies, energy storage, smart grid and internet of things initiatives, and renewable energy. My role at UTSA was often to look at projects from a holistic perspective that included engineering, economic and policy considerations, all of which are in my opinion critical to the successful adoption of new energy technologies. I love to look at big problems from a systems perspective, and I hope to bring this sort of thinking to my new role at CleanTX.